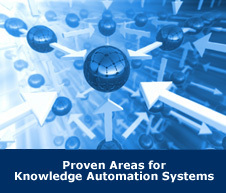 Exsys Corvid™ is a very powerful environment for developing knowledge automation systems. It allows the logical rules and procedural steps used to make a decision to be converted to a "rule" representation that can be delivered on-line. It is not difficult to learn to build rules with Exsys Corvid. Corvid uses an English and Algebra syntax to build structured If/Then. Rules are easy to read and understand. No programming knowledge is required. The tutorials will give you a good background to start your own systems. In addition to these tutorials, there is the full Corvid Manual, which provides much more detail on functions and capabilities. Also there is a “How To” section that provides detailed instructions on some more advanced tasks, such as interfacing to databases, building dynamic web sites, saving state, running validations, etc.